Are you are looking for a stylish new or pre-driven Jeep? 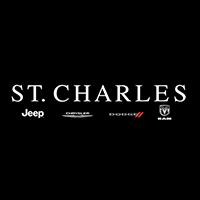 St. Charles Chrysler Dodge Jeep Ram offers various models of of top brands including Chrysler, Dodge Jeep and Ram. Our full-service Geneva, Illinois Jeep dealership offers informative and friendly sales staff, dedicated finance experts, and highly trained technicians to keep your vehicles moving smoothly and safely. One of the dependable Elgin Jeep Dealers, St. Charles Chrysler Dodge Jeep Ram has the latest styles of Geneva Jeep cars, SUVs, and trucks. Visit our dealership for current savings, information about our parts and service departments, and browse our stylish vehicles, such as the Geneva New Jeep for sale or the Geneva 2019 Jeep for sale. Geneva is located in Kane County, Illinois; it is located on the western side of the suburbs of Chicago. As of the 2011 census, the population was 21,707 residents. Geneva has a charming downtown area with various unique stores, specialty food shops, charming restaurants, and historical architecture. The Geneva History Museum offers great exhibits for people of all ages and guided walking tours that tell people about the architecture, historic district, and cemeteries. Some of the town’s popular festivals are the Swedish Days Festival and the Christmas Walk. One of the reliable Geneva Jeep Dealers, St. Charles Chrysler Dodge Jeep Ram is a full-service dealership that offers certified technicians, friendly sales staff, and dedicated finance experts. Visit our website to learn more about our current specials on our Geneva Jeep cars or SUVs and come visit our dealership to speak to our sales staff about our Geneva 2019 Jeep for sale. Our sales staff take the time to learn exactly what you are looking for in a new vehicle and work with you to make sure you get behind the wheel of the new or pre-driven vehicle you desire. Our Geneva, Illinois Jeep dealership has a state-of-the-art auto repair center where our top trained technicians perform regular maintenance such as auto-glass repairs, wheel repairs, transmission repairs, and more.